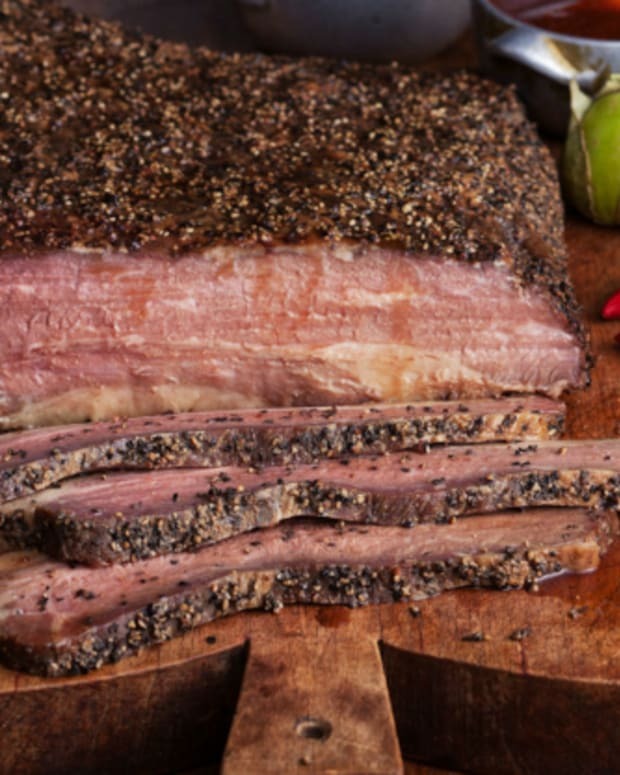 How do you cook a brisket in the oven overnight? 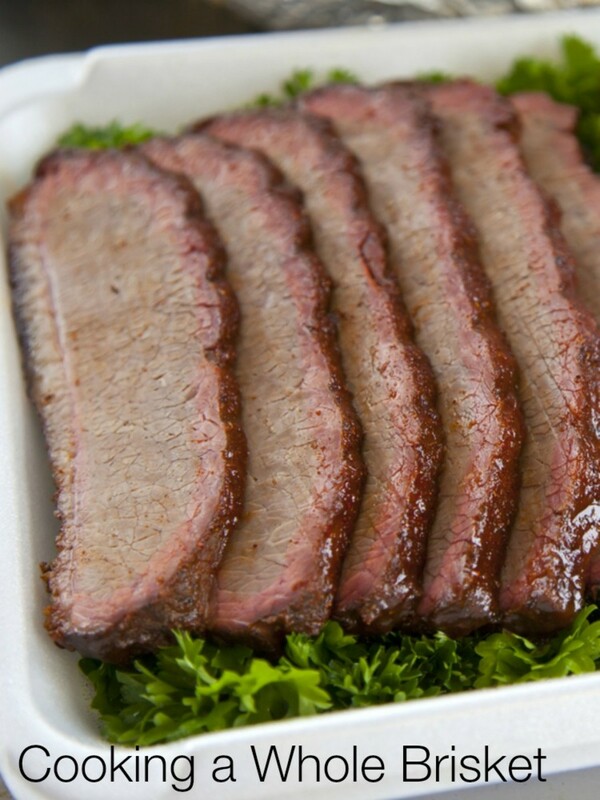 It took me a long time to love brisket. 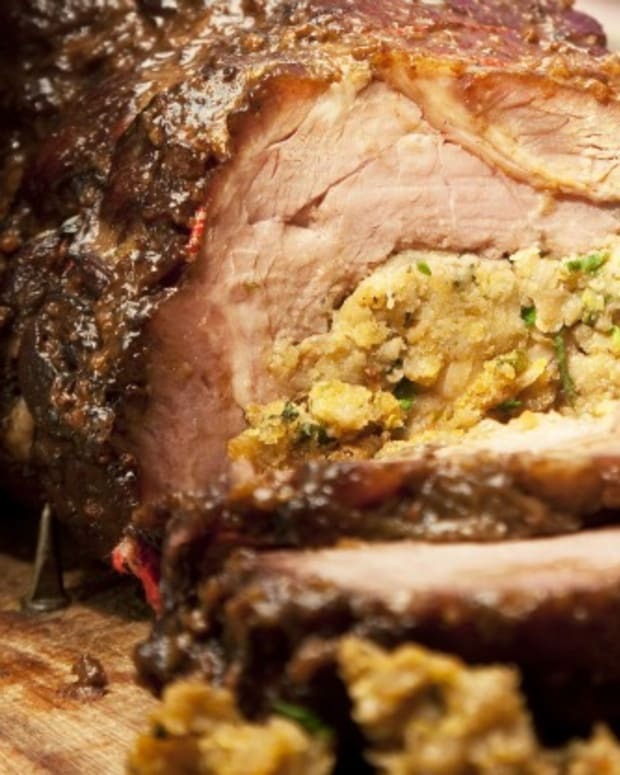 It’s the kind of meat that can be dry, stringy and hard-to-chew if you don’t cook it right. My mother-in-law changed my mind. Unlike my mom, who insisted on using the first-cut portion, my mother-in-law clued me into the second cut, which is more flavorful. Yes, it has a lot of fat but most of it melts away during cooking. Besides, it’s the fat that softens and enriches the meat as it cooks. After years of never making brisket for my family, I started experimenting. It took a while before I got the dish right. 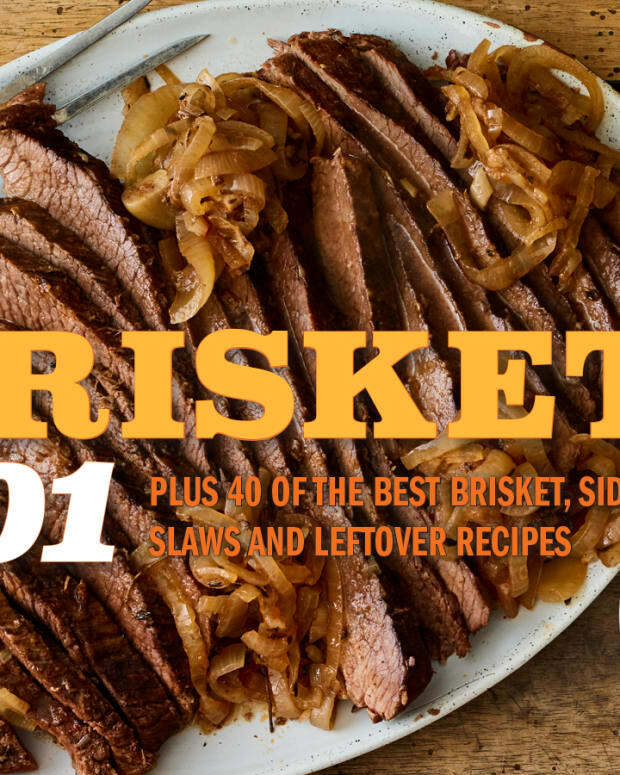 A whole brisket (first plus second cut) is my best bet because it serves so many and it also satisfies the people who prefer the leaner portions. It’s festive looking too, which makes it suitable for extended family holiday meals (although I should say that I also make this large piece throughout the year and freeze smaller portions for those nights when I get home late and don’t feel like cooking from scratch). 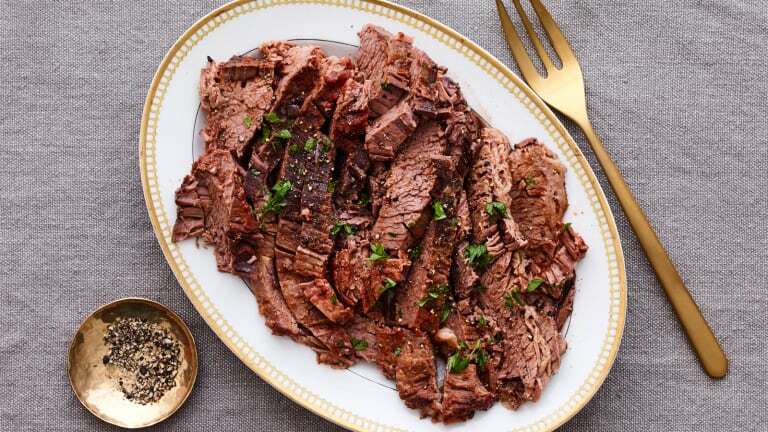 Besides, the whole brisket includes that awesome tasting top, the deckle – that so-called “inferior” second cut that some restaurants now prepare and offer at some spectacularly high prices. Despite the usual arguments about whether brisket should be cooked in the oven or on top of the stove, the real key is to cook it at very low temperatures for a very long time (using either method). I set it up just before I go to sleep in a 225 degree oven. The most delicious and fragrant alarm clock in the world – braised brisket perfume – wakes me up in the morning. This works for smaller cuts too, but decrease the time of course. I don’t use a lot of seasoning – for us, meat flavor is paramount. 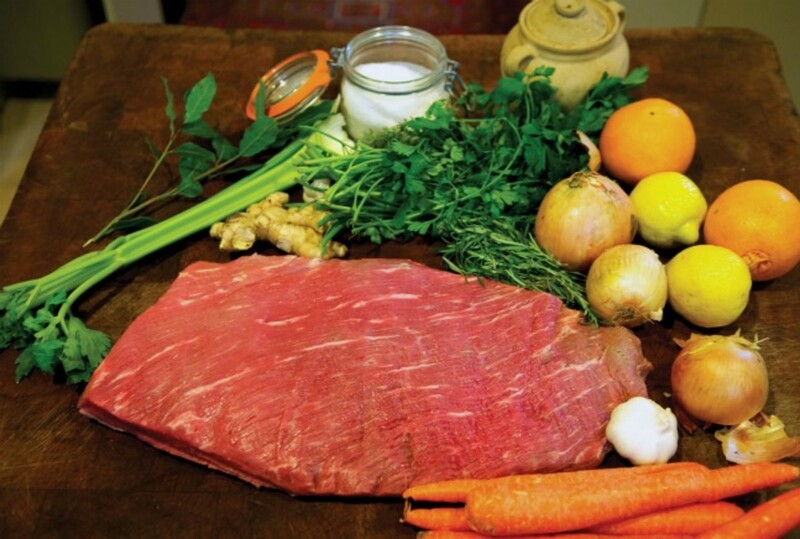 I also don’t add any liquids, but I do include water-loaded vegetables such as onions (and sometimes tomatoes and celery), which baste the brisket beautifully and provide lots of intensely flavored pan juices. 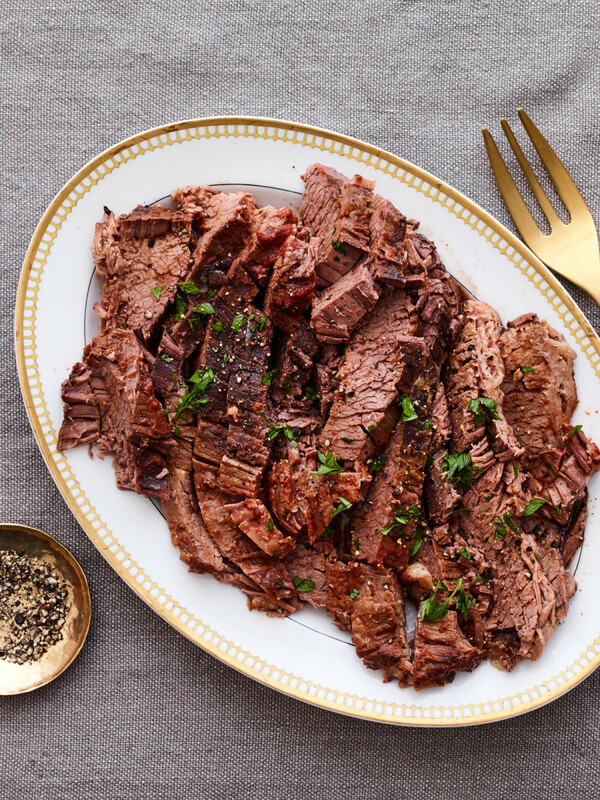 Like all good braised dishes, brisket tastes better a day or so after you cook it. I separate the meat, pan juices and vegetables. That allows me to scoop off the fat easily. 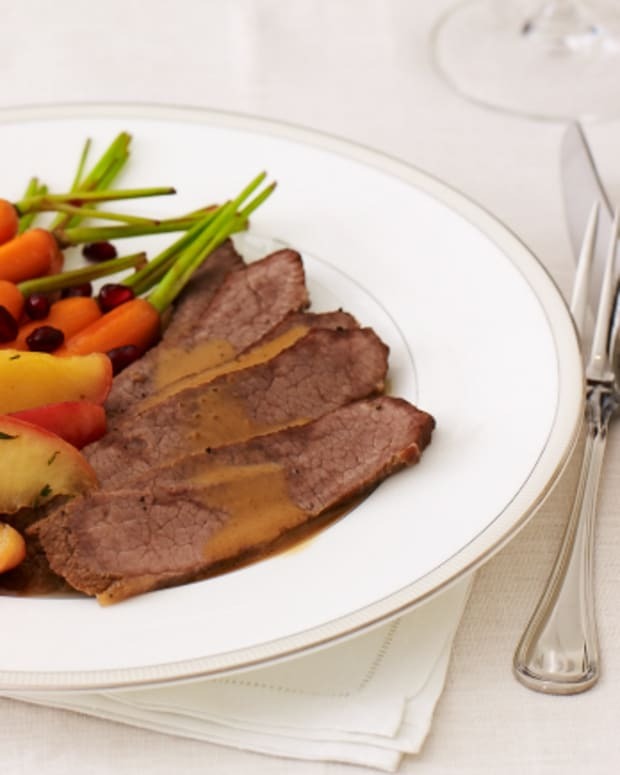 Although most people I know slice the meat and put the gravy and vegetables back on top (or puree the pan fluids with the vegetables), I don’t. It’s fine that way, but our family prefers the gravy over mashed potatoes. The brisket? I slice it, slather it with homemade barbecue sauce and give it a roast on high heat to caramelize the surface (or broil or grill it). Either way, it’s good eats on Passover or any other time. 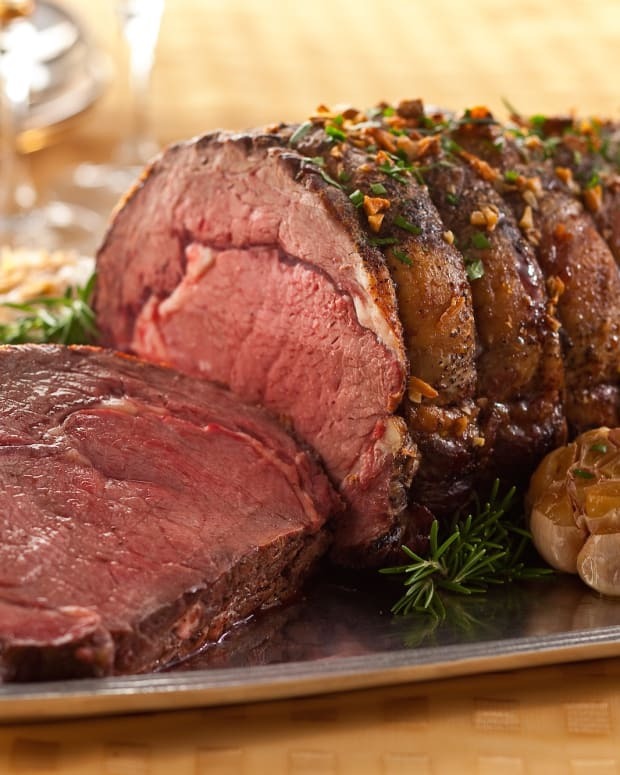 Juicy, tender, flavorful. And the leftovers are good too. 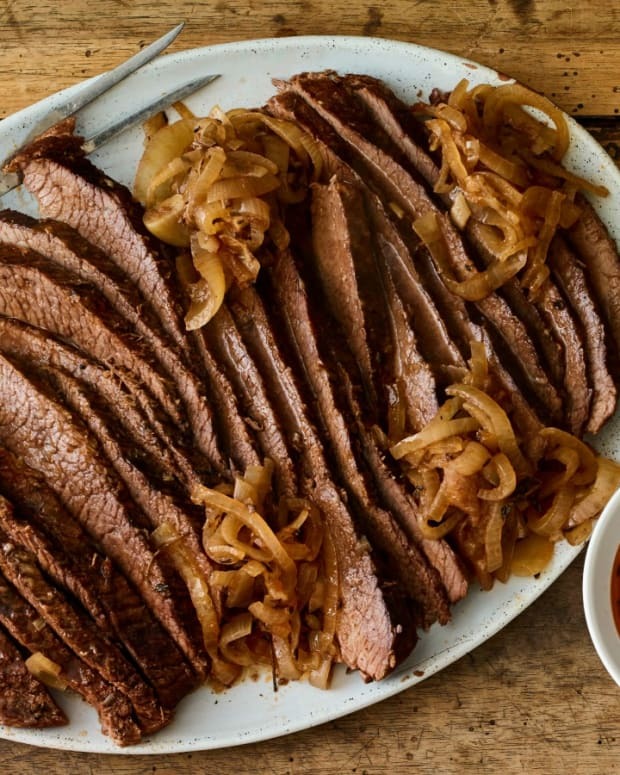 Click here for the full recipe of my Whole Brisket with Homemade BBQ Sauce.